I always find myself getting into breakfast ruts – I’m not exactly what you would call a ‘morning person’ and often I’m so strapped for time and inspiration that I’ll just grab an Up & Go or skip breakfast altogether. But breakfast is the most important meal of the day and it is good to start off your work mornings with something that will sustain you until lunchtime. While I was on the hunt for new and inspiring breakfast recipes, I stumbled upon Lisa’s Lemony Kitchen and her healthy breakfast pudding that incorporated one of my all-time favourite fruits mango. This pudding makes a great quick and easy Summer breakfast or it could even be served as a dessert. Waiting patiently for mango season to kick off…so I can indulge in this healthy brekkie ? 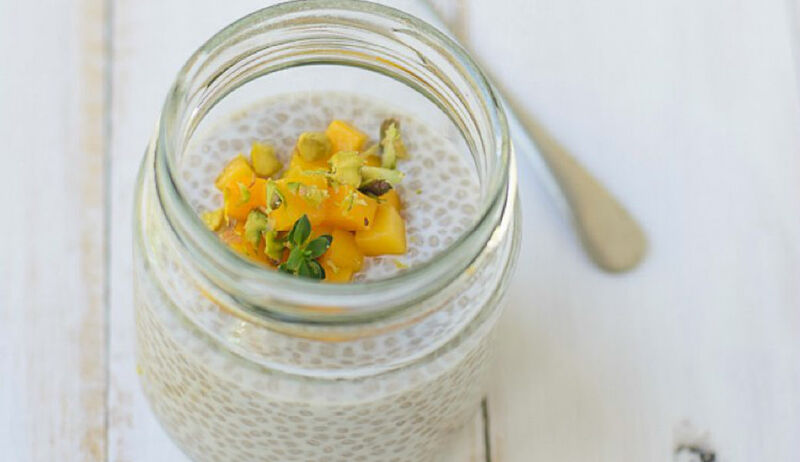 Mango Chia Pudding Link to recipe in Bio ?